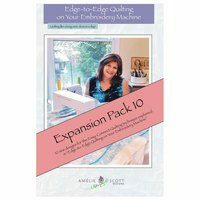 The Edge-to-Edge Expansion Pack 7 Pattern and Embroidery CD works hand-in-hand with the Edge-to-Edge on your Embroidery Machine Pattern and CD. 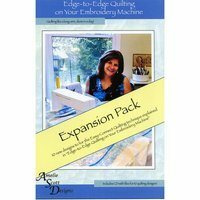 The Expansion Pack 7 includes 10 new quilting designs that work with the quilting techniques from the original book. 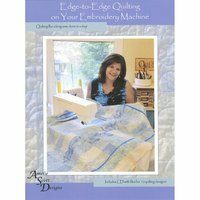 The Edge to Edge Expansion Pack 7 allows you to use your home embroidery machine to professionally finish quilts; as if they were longarm quilted. All 10 files are available in three sizes: 5.38in by 9.5in, 6.5in by 11.5in, 7.52in by 13.5in. 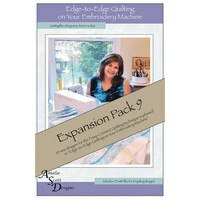 Embroidery file formats include: ART, DST, EXP, HUS, JEF, PES, VIP, VP3.